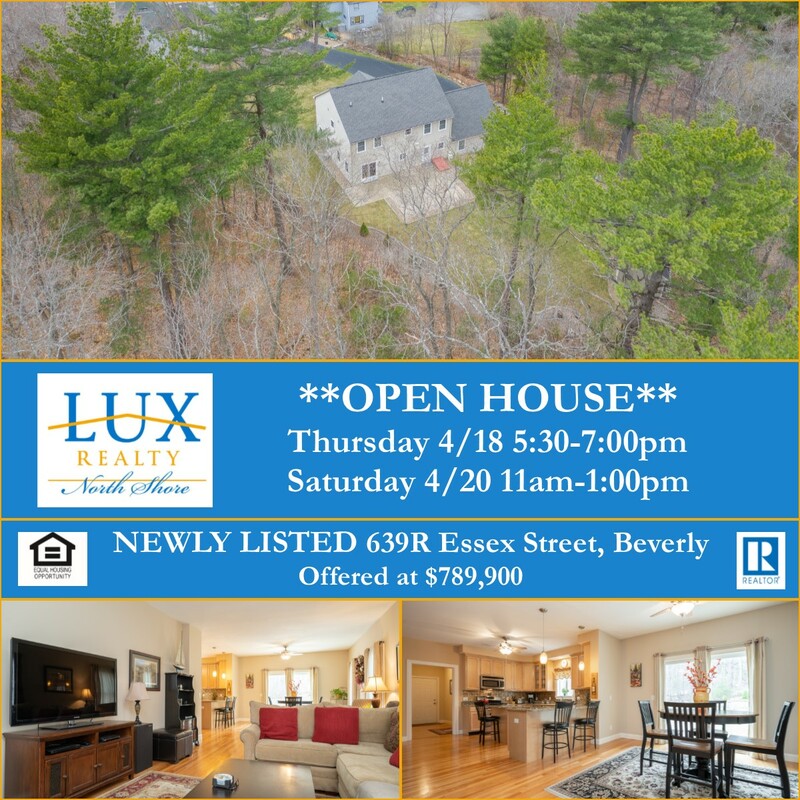 LUX Realty North Shore Blog! 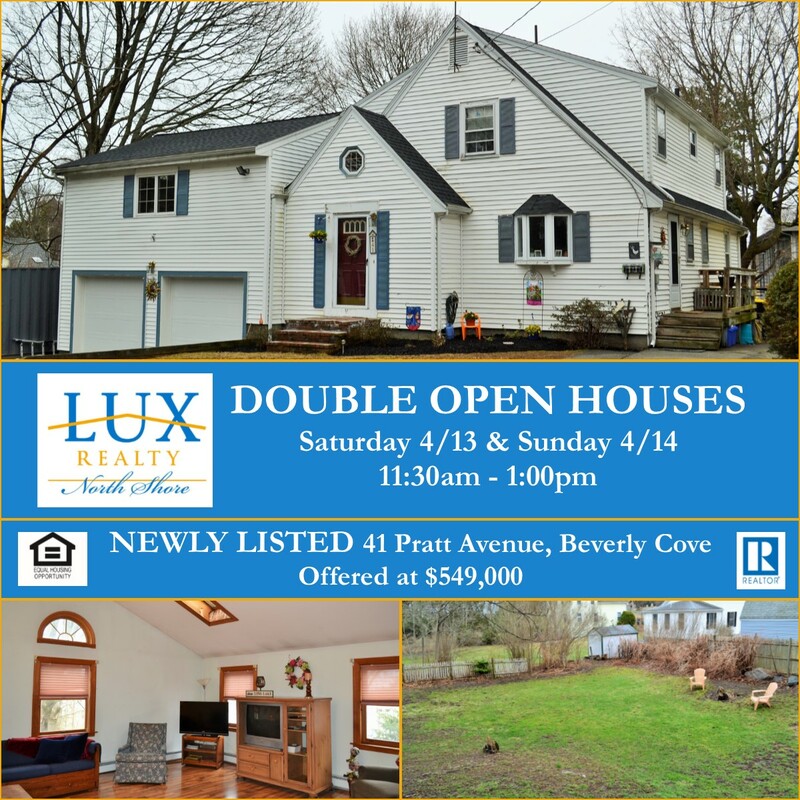 LUX Realty North Shore Blog....Check out our handy Tips for Home Buyers and Sellers, Home Improvement & DIY projects, LUX Realty Press Releases, Real Estate News, and local North Shore events! Great opportunity in Centerville! 1 Pillowlace Lane, just listed by Betsy Woods, is a meticulously maintained Raised Ranch set on a beautifully manicured lot. This sunny home has a generous living room with bay window and cathedral ceiling, a fully applianced kitchen having a dining area and a slider to the expansive deck, perfect for indoor/outdoor entertaining! The generous master has a ¾ en suite, large closet and a private door that leads to the screened porch. Two more bedrooms & a full bath round out the upper level. There is a family room with a fireplace and a 3-car garage! Did we mention this home has an incredible in-law/accessory apartment with a private entrance? The spacious in-law apartment has 2 bedrooms, a full bath, and an updated kitchen that is open to the living space. 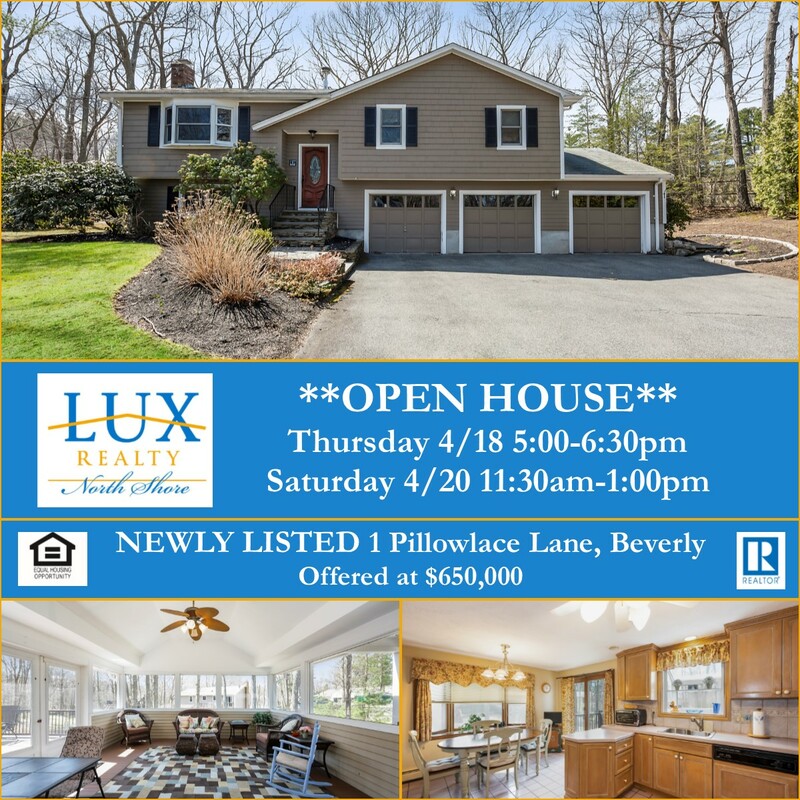 This special property will be open Thursday 4/18, 5:00-6:30pm and Saturday 4/20 11:30-1:00pm. Please click on the photo for property details. 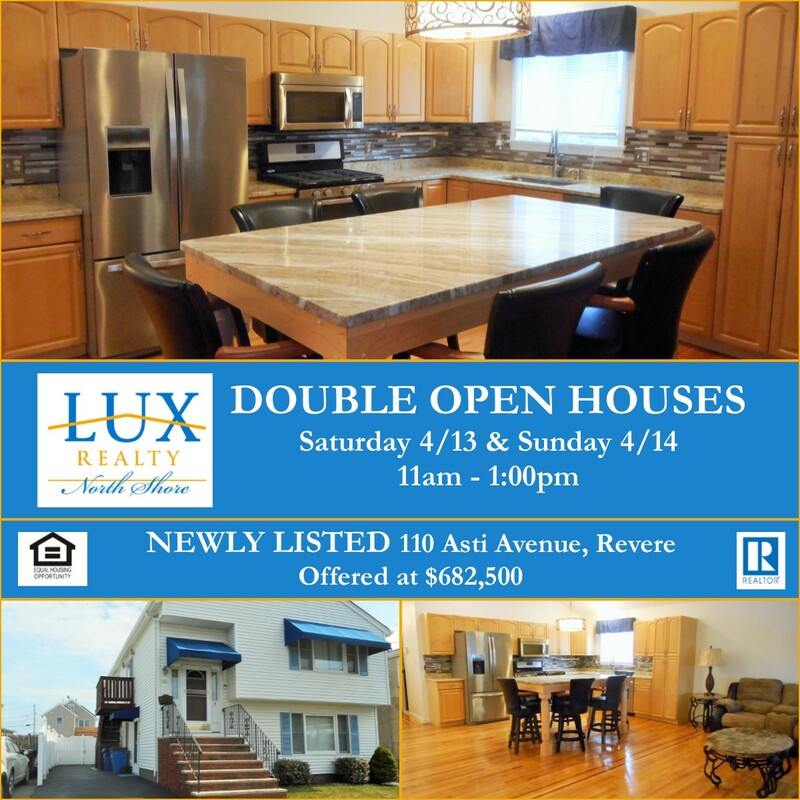 Just Listed by Team Cotraro, 110 Asti Avenue, Revere is a meticulously maintained two-family home offering over 2,600 sq. ft. of living space. Each unit has a private entrance, driveway, and access to the fenced backyard. Unit 1 offers a fantastic floor plan with an open concept kitchen, dining room, & living room having vaulted ceilings, hardwood floors and a slider that leads to a generous deck. The kitchen is tastefully updated with stainless appliances, oversized center island, glass tile backsplash, and granite counters. This unit offers 3 bedrooms and 2 full baths. Unit 2 features a 1 bedroom, 1 bath, living room, a fully applianced kitchen with space for a table and chairs. Great opportunity to have a tenant help pay your mortgage! 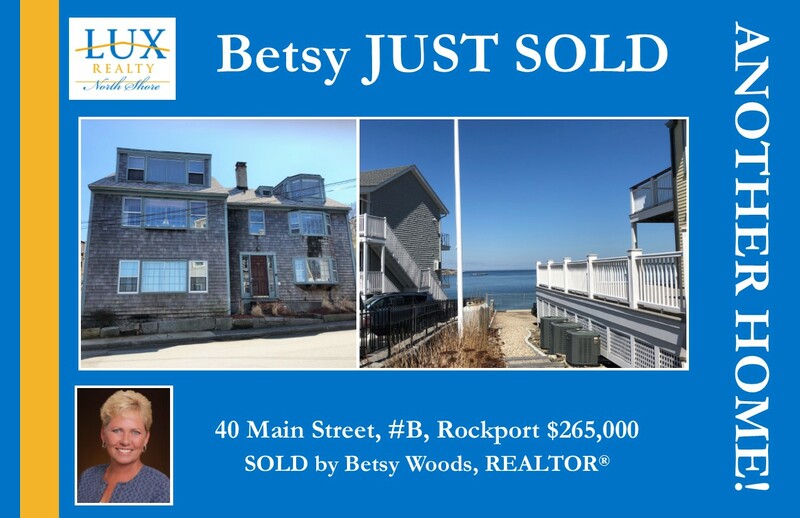 SOLD 40 Main Street, #B, Rockport- $265,000. This cute as a button Rockport condominium offers ocean views and is perfectly located between the beach and downtown! In just two short weeks, REALTOR ® Betsy Woods assisted her Buyer in locating, submitting an offer, AND closing on their dream property! Thinking of making a move? Call Betsy and let her find you your dream home today! Beautifully Remodeled Ryal Side Colonial Sells Over Asking Price! 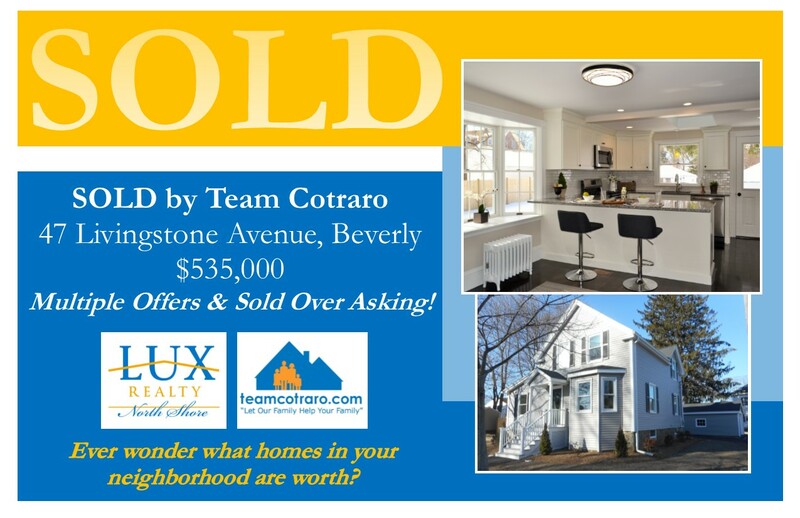 SOLD by Team Cotraro! 47 Livingstone Avenue is a beautifully remodeled and renovated Colonial set on a nice corner lot in the Ryal Side neighborhood. In just 8 days of being on the market, Team Cotraro's Seller received multiple offers and SOLD their home for $10,000 over asking! North Shore housing inventory remains historically low. Your opportunity is knocking call Team Cotraro- Mike & Mary today for a no-obligation home evaluation & consultation! SOLD by Joy Munoz! Housing inventory remains low on the North Shore and we continue to see strong bidding among buyers with many homes, including this one, selling over asking. 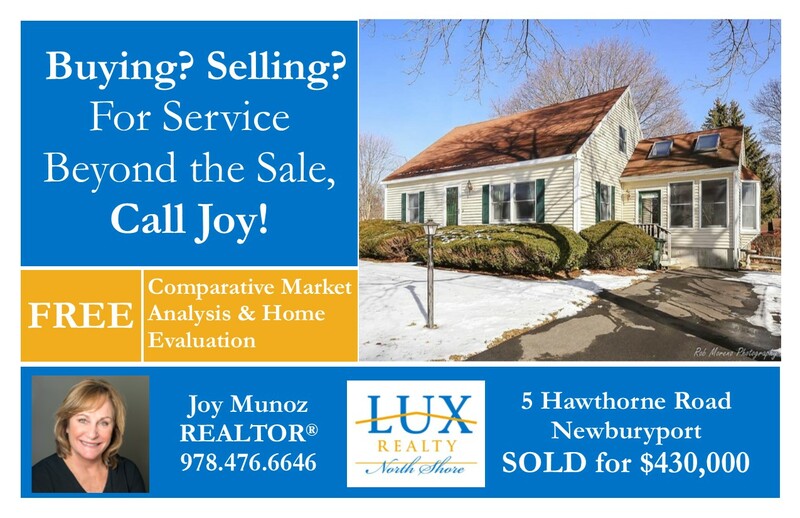 Joy's excellent market knowledge and top-notch negotiation skills allowed for her Buyers to successfully beat out several others and secure 5 Hawthorne Road, Newburyport as their "Home, Sweet Home." Buying? Selling? For service beyond the sale, call Joy!